Have You Been Running Into Foot Pain In Issaquah More Often Than Usual? It is no wonder that joggers will often run into various issues with their feet from time to time. Even if you have the best running shoes for the right amount of support, you could be open to injuries and foot pain at one time or another. Whatever you might be experiencing, you can get the help that you need for foot pain in Issaquah by simply visiting your podiatrist. Even though running is excellent for health and well-being, you can also run into issues due to the fact that running can be hard on your feet. As a matter of fact, foot pain is a rather common occurrence for people who run on either a recreational or competitive level. For example, an average jogger’s foot will land on the ground at around two or three times of the regular body weight. This means that a jogger’s feet can be exposed to over 100 tons of impact over a three-mile run. With the level of trauma that the feet take on while running, having the right footwear is critical if you want to prevent foot pain. Believe it or not, many people are not wearing the best shoes for running. To make it even worse, a lot of people will also choose a shoe that is not the best size. Blistering – Blisters can form from the friction in between your shoes and the skin of your feet. This is something that can be worse with ill-fitting running shoes as well as excess moisture. Heel Discomfort – For many runners, heel pain will come from plantar fasciitis, which is a known inflammatory condition of the foot. This area of the plantar fascia is located on the bottom portion of the heel where the band of tissue connects with the ball of the foot and it can be very vulnerable when subjected to injuries from repetitive stress, such as running. Toe Pain – Should you be wearing running shoes that are too small for your feet, your toes will hit hard on the front portion of the show with each landing. This can cause a great deal of pain in the toes as well as the rest of the foot because of the trauma involved. It is important that you have ample room in the toe box portion of your running shoes to prevent such an injury. Over-Pronation – Whenever there in an of excessive amount of arch collapse as it hits the ground, there is a good amount of strain on the foot tissues. Always go with running shoes that offer plenty of support to avoid over-pronation. Tendinitis – This is a condition that can develop whenever there is swelling and irritation of the tendons, usually in the arch of the foot. Try to avoid running too fast or too far so that you do not overdo it. It is always important that you have the best possible running shoes to support your feet every time that you head out. This means having ample padding to cut back on the impact of each step and to have stability with proper support of the arch. Going with shoes that are crafted for other activities, including tennis or aerobics, may not have the right features for people who run. Of course, it is also best to pay attention to your running routine to keep your feet in great shape. Always warm up and stretch to give your feet and your body time to adjust. Keep your feet dry and stop should you ever feel pain in one or both of your feet. Of course, running on a good surface is helpful to avoid injury and try to take regular walking breaks whenever possible for your feet to rest from the hard impact. Whenever you are dealing with foot pain during or after running, it is best to see your podiatrist. You can find out whether or not you are using the right running shoes and gather helpful information or treatments to make sure that you are able to keep your feet healthy and comfortable for running. If you find that you are dealing with foot pain in Issaquah, Mill Creek Foot & Ankle Clinic can help. 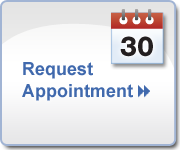 Contact us to schedule your next visit! You can reach Dr. Hansen at (425) 375-2484 or Dr. Hall at (425) 482-6663 to set up a consultation.